THURSDAY, Jan. 12, 2017 (HealthDay News) -- Women with serious congenital heart defects can usually have successful pregnancies -- but they should work closely with their doctors before, during and after pregnancy, according to new recommendations from the American Heart Association (AHA). At one time, women born with complex heart conditions were told they could never have a baby, said Dr. Jamil Aboulhosn, a cardiologist and one of the authors of the AHA scientific statement. But that old thinking has evolved, said Aboulhosn, who is based at University of California, Los Angeles Medical Center. Studies in recent years have shown that when those women work with an experienced team of health care providers, they generally can have healthy pregnancies, the statement said. The key is planning, said Mary Canobbio, a registered nurse who led the committee that crafted the new recommendations. "Prepregnancy counseling is a must," said Canobbio, who's also a lecturer at the UCLA School of Nursing. Ideally, she said, the topic of pregnancy should come up early -- long before a woman's actually ready to have a baby. That way, she can have an understanding of how pregnancy could affect her own health, and the health of her future child. The risks, and the specifics of managing pregnancy, will vary from one woman to the next, Aboulhosn said. It depends on the particular heart condition, he explained, and the woman's overall health. "At one end of the spectrum, you may have a woman who was born with a small hole in the heart that was surgically corrected," Aboulhosn said. "And now she's in good shape, exercising, functioning well. She's likely to do just fine." At the other end of the spectrum are the more complicated cases. Aboulhosn pointed to the example of a woman born with a large hole in the heart. She now has pulmonary hypertension (high blood pressure affecting the lung's arteries) and becomes breathless and "blue" from exertion. "Obviously, her case is different," he said. In general, the strains of pregnancy could raise a woman's risk of complications like heart arrhythmias or heart failure -- during or shortly after pregnancy. As for the pregnancy itself, women with heart disease typically have higher-than-average risks of miscarriage, preterm labor and poor fetal growth, according to the AHA. But to understand her own personal risks, a woman needs to work with her cardiologist, Canobbio said. Once she's ready to conceive, she should be referred to an obstetrician experienced in caring for patients with heart disease, the AHA said. But her cardiologist will continue to be involved. Genetic counseling may also be recommended, Canobbio said. Some congenital heart conditions have a strong genetic component, which means the baby could be born with the same disease. The AHA statement, published Jan. 12 in the journal Circulation, is the first to specifically address pregnancy in women with "complex" congenital heart disease. Single ventricle, where the heart has only one of the two chambers that pump blood. Transposition of the great arteries, where the two main arteries leading out of the heart are in the wrong positions. Severe aortic stenosis, a narrowing in one of the valves on the left side of the heart. Just as with pregnancy, these women need to have their delivery carefully planned, too, according to Canobbio. All women with "high-risk" heart conditions should deliver at a larger medical center with heart specialists, surgeons, anesthesiologists and obstetricians who have the necessary expertise, the AHA said. "That team-based approach is critical," said Dr. Yasser Yehia El-Sayed, vice chair of the American College of Obstetricians and Gynecologists' Committee on Obstetric Practice. From the prepregnancy stage onward, there should be "open communication" between the patient and all of the doctors involved in her care, said El-Sayed, who wasn't involved in the AHA report. What if a woman doesn't live near a major medical center? That takes some more coordination, he said. She may travel to the medical center periodically, but have her routine prenatal visits with her obstetrician at home, El-Sayed said. Delivery itself is planned. Usually, Aboulhosn said, that means an induced vaginal delivery a couple weeks before the due date. In some cases, the baby may need surgery right away, Aboulhosn said. 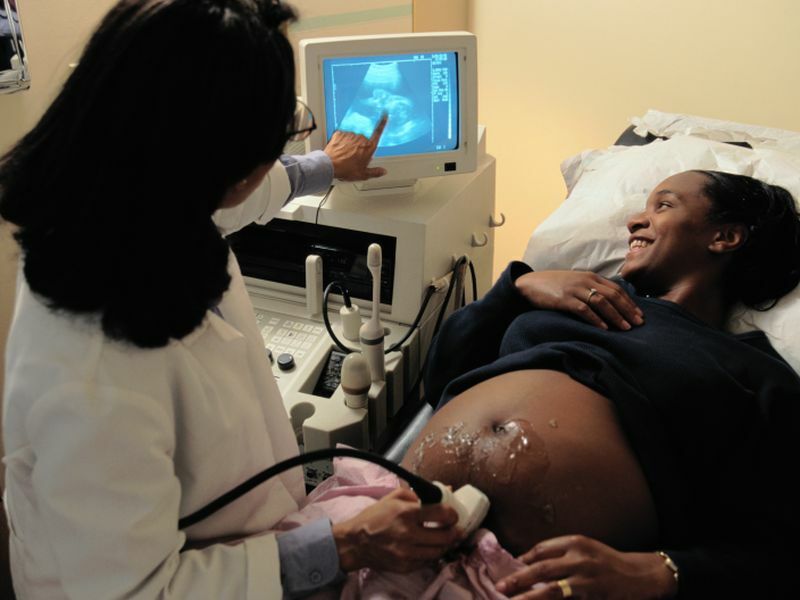 During pregnancy, it's routine for doctors to do fetal echocardiograms, to detect any heart defect that will need to be corrected soon after birth. Women themselves need to be monitored, too. "Once a woman has given birth, she's not home free yet," Canobbio said. Right after childbirth, she explained, there are major changes in blood flow to the heart, which can boost the risk of a heart arrhythmia or heart failure. "So we need to monitor them after delivery," Canobbio said. The effects of pregnancy can last for as long as six months after delivery, the AHA said. So women will need routine checkups during that time. For women with complex congenital heart conditions, Aboulhosn said, the message is: "Pregnancy is possible." "But," he stressed, "we need to go through all the right steps to make sure that pregnancy is as healthy as it can be."